Wingover above Sterksel, The Netherlands. In the distance the city Eindhoven. Wingovers are a series of turns that swing the pilot above the wing. 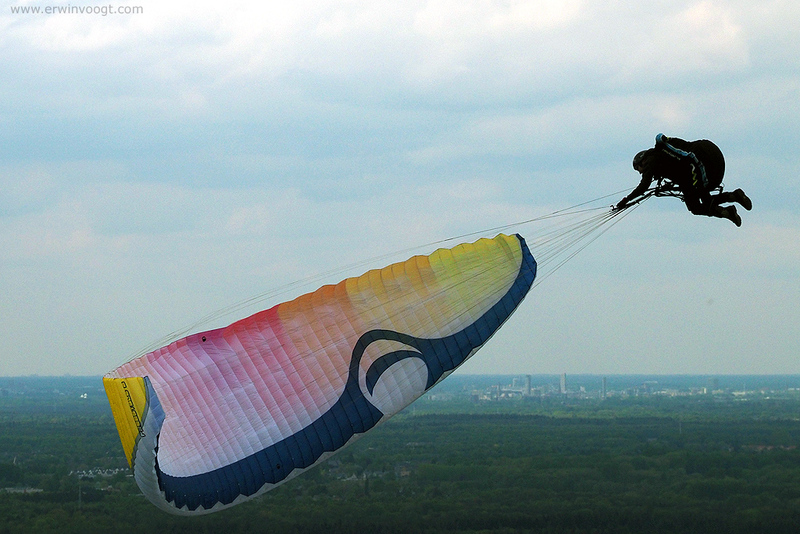 The glider is a Gradient Freestyle 3.